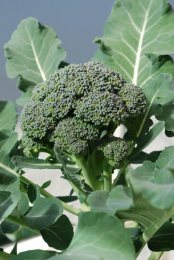 Broccoli varieties differ mainly in the shape and size of the head, time to maturation, side shoot production, and disease resistance. Home gardeners should look for blends of early and mid-season varieties to extend the season. When most people think of broccoli, they think of the standard broccoli head seen in supermarkets. 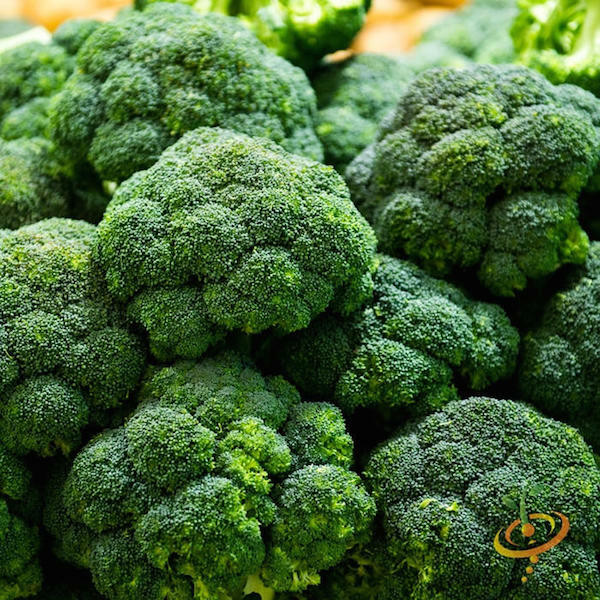 These are the main varieties of broccoli grown commercially, but home gardeners can choose from a wide range of broccoli varieties not commonly found in commercial production. 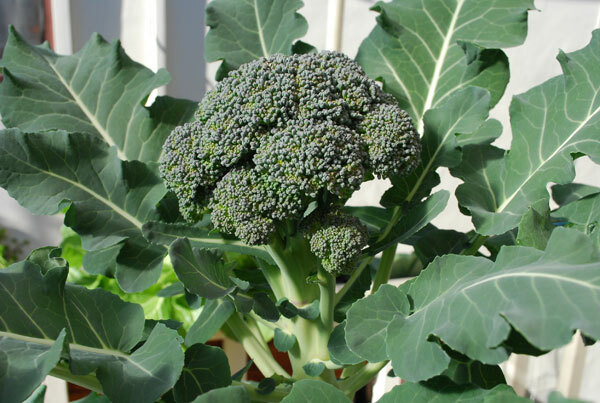 Like most cool-season vegetables, broccoli has early and mid-season varieties. Early varieties mature in 50-60 days, mid-season varieties in 60-75 days. Days to maturity are from transplanting date; add 25-30 days if direct seeded. Sprouting Broccoli is grown for its long, tender shoots, which are prepared in the same way as asparagus, or used in stir-fries. 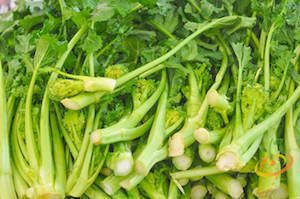 Broccoli Raab is a branching, as opposed to heading, type of broccoli. It forms multiple small heads, instead of one large central head. Harvest the tender shoots before the flowers open for best texture and flavor. Gai-lon, or Chinese broccoli, is a type of Asian green that’s smaller in size, darker green, grows more quickly, and has a stronger flavor than its western cousins. It doesn’t form traditional heads. Instead, the whole plant is eaten. “OP”=Open Pollinated/Heirloom (saved seeds will produce true to form). “F1”=Hybrid (saved seeds won’t necessarily produce true to form). Links to buy seeds go to seed companies that offer that variety. We are affiliates of Seeds Now. We receive a commission on seed orders you place to this company (the commission comes from the company, so you pay the same whether you click on our link or order directly from the company). ‘Blue Wind’ (F1, 49-55 days) is an extra-early variety that produces large, tight heads in about 60 days. 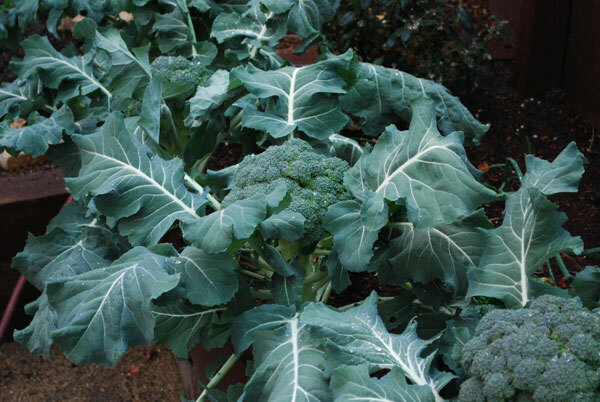 Has good side shoot production for a longer harvest, and the tender, bluish-green leaves near the top of the plant are excellent steamed or braised, like kale. ‘De Cicco’ (Heirloom, 48 days) is a multi-cut Italian heirloom variety that’s a good choice for the home gardener, because plants mature at a variable rate. Produces a small, 3-4” (7-10 cm) main head, followed by a large number of tender side shoot spears over a few weeks. Harvest main head at 3” (7 cm) or less to encourage side shoot production. ‘Calabrese’ (Heirloom, 65 days) is great for fall planting, since the heads get sweeter as the weather cools. Produces medium-sized, deep green heads. Good side shoot production after the central head is harvested. ‘Arcadia’ (F1, 63-68 days) produces uniform, small-beaded purplish-green heads, each 5-6” (13-15 cm) across. Strong cold tolerance makes this one of the best types of broccoli for fall and winter production. Resists head rot, downy mildew, and brown bead. ‘Gypsy’ (F1, 58 days) is a very early broccoli with a strong root system for good productivity in poor soil. It produces nicely-domed green heads with medium to small bead size. Has good heat tolerance and side-shoot production. 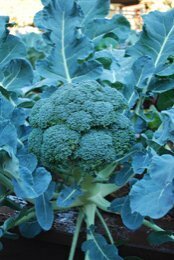 ‘Amadeus’ (F1, 56 days) is a good early-season choice that produces 4-5” (10-13 cm) diameter, blue-green, tight heads with small beads. Strong side shoot production after main head is harvested. Medium-sized, vigorous plants. ‘Marathon’ (F1, 68 days) is the best choice for fall and winter production in the Pacific Northwest and Northern California. ‘Waltham 29’ (Open Pollinated, Heirloom, 63-74 days) produces multiple 4-8” (10-20 cm) dense, blue-green heads, followed by multiple side-shoots over a long season. Very cold tolerant, suitable for early spring and late fall production. ‘Diplomat’ (F1, 68 days, resistant to downey mildew) produces dark green, uniform dense heads 4-6” (10-15 cm) across. Great performer in northern gardens with moderately warm summer temperatures. 'Fiesta' (F1 hybrid, 65-75 days) produces dense, well-domed heads with thick stems on stout plants. 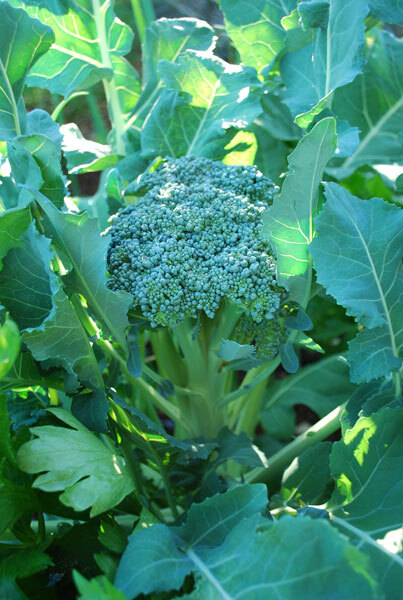 Has limited heat tolerance at maturity, but is ideal for late summer sowing for a fall/winter broccoli crop. Plant on tighter spacing for single harvest–has limited side shoot production. ‘Belstar’ (F1, 65-75 days) produces beautiful blue-green, tightly packed heads high on the plant. Good heat and cold tolerance, it’s a reliable performer for both spring and fall planting. 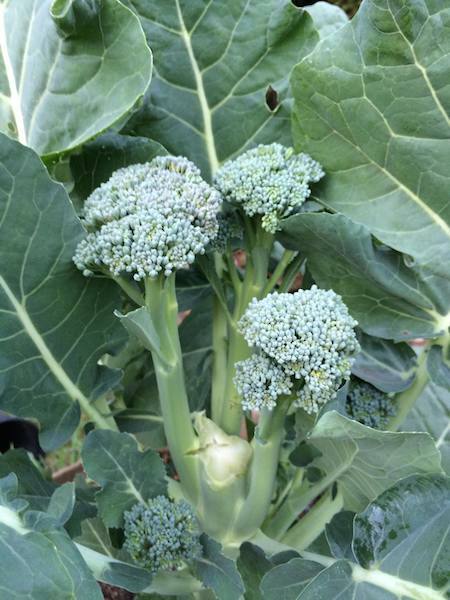 ‘Express’ (F1, 75 days) is a good mid-season broccoli. Uniform plants produces 6-7” (15-18 cm) diameter, deep blue-green heads with tight beads. Produces lots of side shoots. ‘Rapini’ (Broccoli Raab) (Heirloom, 65 days) produces multiple side shoots, instead of a central head. 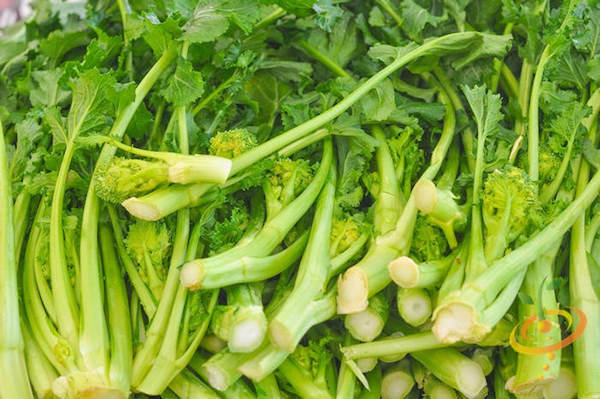 The shoots turn a deep green when sauteed, and are wonderful chopped and added to stir-fries. 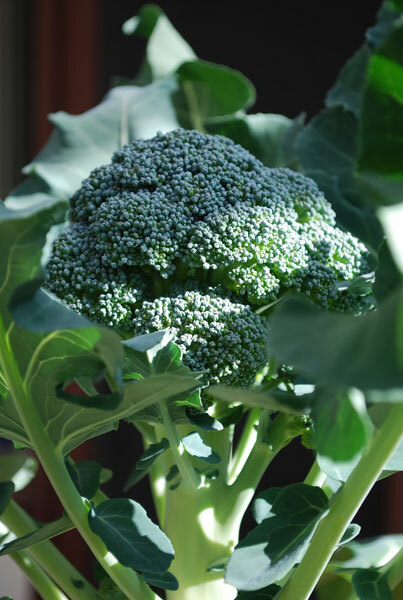 ‘Spigariello Liscia’ (45 days), also known as Italian leaf broccoli, is a favorite in southern Italy. This is my favorite broccoli raab, and clients request it every year. Grows to 14-24” (35-60 cm). Prolific, tender, and delicious sautéed with garlic and olive oil. ‘Sorrento’ (OP, 40 days) matures faster than other broccoli raab varieties. Large, vigorous plants produce a multitude of 3-4” (7-10 cm) heads. Harvest frequently for continued production. To harvest Chinese broccoli, cut off just above the roots before the flowers open. Cut off the young, tender tops of the plants, then split the wider base of the stems in half lengthwise. Stir fry with garlic and oil. ‘Kailaan’ (OP, 45-65 days) produces deep green, 6-8” (15-20 cm) stalks with white flowers. Bolts in hot weather, so best sown early spring or late summer. ‘Suiho’ (F1, 44 days) is more heat-tolerant than non-hybrid varieties. 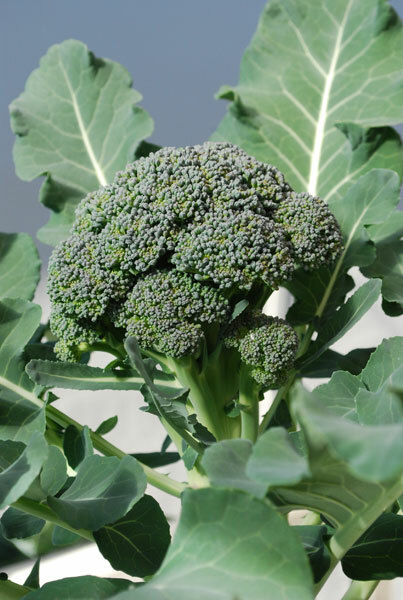 'Happy Rich' (F1, 55 days) is a vigorous, productive hybrid gailon variety that produces large florets resembling mini heads of broccoli. Lots of side shoots. 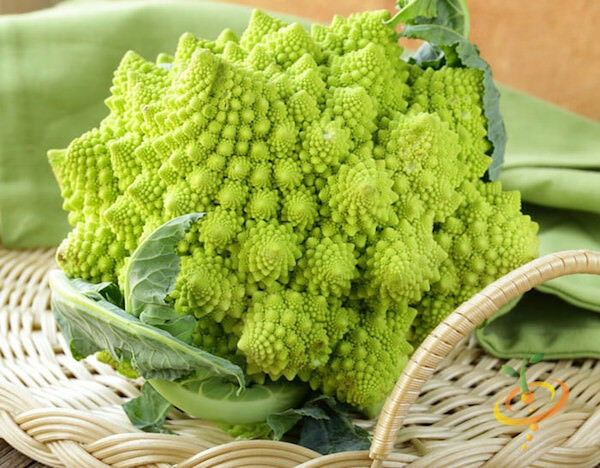 "Specialty" broccoli varieties include Sprouting Broccoli, Broccolini, and the wonderfully fractal 'Romanesco' broccoli, an Italian heirloom that looks like a broccoli-cauliflower cross. Sprouting broccoli are primitive broccoli plants that were the forerunners of today's heading broccoli. They produce abundant, long side-shoots rather than a large central head. The side shoots are harvested and cooked like asparagus: chopped and sauteed, or brushed with olive oil and grilled. 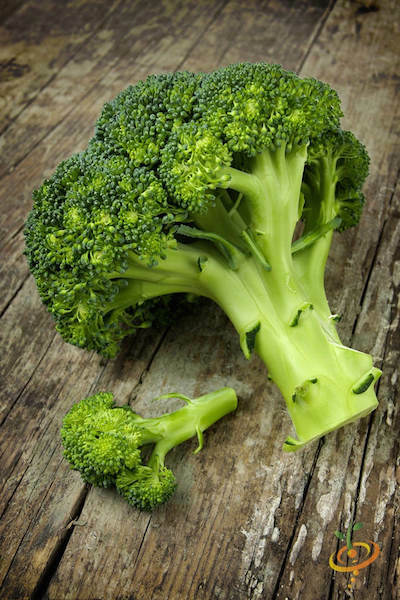 Broccolini is simply a term for broccoli side shoots. Many heading varieties of broccoli will produce a flush of side shoots after the main head is harvested, and these can be harvested and prepared like the sprouting broccoli above. 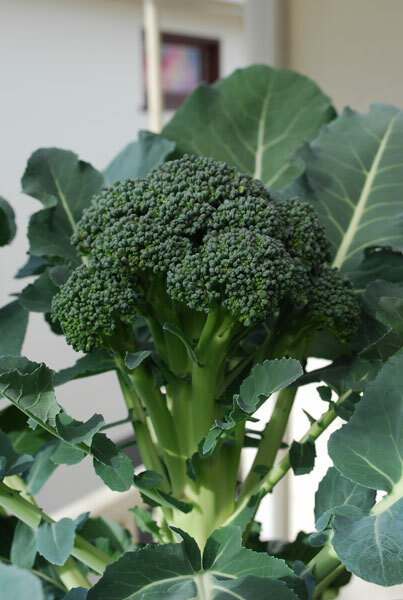 Some varieties, like 'Apollo', produce more side shoots and are the preferred varieties for producing broccolini. ‘Early Purple Sprouting’ Broccoli (Heirloom, 65 days) produces abundant, bright purple broccoli shoots. Great in salads, or chopped and sauted in olive oil. ‘Apollo’ (F1, 60-90 days) is one of the best sprouting broccolis available. Plant with extra space between the plants and harvest the main head early to encourage prolific side shoot formation over several weeks. Side shoots are long and tender, and can be prepared like asparagus or used in stir-fries. For spring and fall production—may become bitter in high temperatures. ‘Romanesco’ (Italian Heirloom, 75 days) produces beautiful, spiraled green heads, like a cross between broccoli and cauliflower. Wonderful delicate flavor. 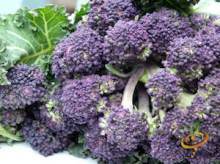 ‘Santee’ (F1, 80-115 days), also called ‘Purple Sprouting Broccoli’. Large plants produce an abundant yield of tender, purple flowers with green stems. (Florets turn green when cooked). Extended 3-5 week harvest period. Suitable for cool-weather production only, shoots turn bitter in hot weather.